Fierce little nutcracker......looks like he is on a mission. 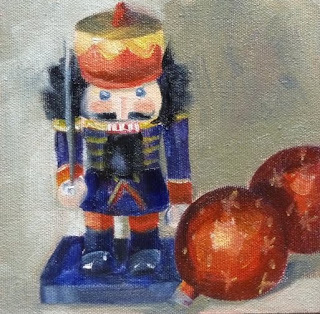 Victoria and I painted nutcrackers today, listening to the music since we are going to see The Nutcracker performance in Toronto this weekend. You two must have had fun painting together! !